(i) The Hirer is responsible for the care of the beacon(s) hired (the Equipment) from Rescue Beacon Hire Ltd (Rescue Beacon) from the delivery day and or time specified by NZ Post as the day and or time of delivery for the Equipment to the Hirer, Hirers agent, representative, or Hirer specified delivery point whichever day and or time is the latter until and including the day and or time the Equipment is accepted by NZ Post for return to Rescue Beacon. (ii) In the event of the Hirer not using the NZ Post bag(s) supplied by Rescue Beacon for the return of the Equipment the Hirer agrees to assume the risk (if any) of damage to the Equipment through insufficient packaging of the hirer’s chosen method of packaging during the return of the Equipment by NZ Post to Rescue Beacon. (iii) The Hirer agrees to accept full responsibility and to pay for the cost of replacement of any Equipment not returned to Rescue Beacon within seven days of the end of the stated hire period. The cost of replacement is deemed and agreed by the parties to be the price stated on the Rescue Beacon Hire Ltd website in the "Buy Now" section as "OUR PRICE" for the respective equipment. Regarding the actual payment of the cost of replacement by the Hirer to Rescue Beacon, Rescue Beacon may at it's sole option, either make a charge (or charges) to the Hirer's Credit Card or pursue other options to gain such payment as Rescue Beacon sees fit. With regards to the charging of the replacement cost to the Hirer's Credit Card, the Hirer specifically authorises Rescue Beacon to make such charge (or charges) to the Hirers Credit Card to recover the replacement cost in full for the Equipment not so returned. Rescue Beacon will, at the end of each hire, having received the Equipment back in good order and condition, send the Hirer by email an acknowledgement of such receipt. It is strongly recommended that the Hirer keeps any receipts for such return of the Equipment as may be issued by the NZ Post Office or other Courier or Carrier, as the case may be, until the email of Acknowledgement of Return from Rescue Beacon is received by the Hirer. (iv) Any Extensions to the hire period are to be confirmed and agreed in writing by Rescue Beacon prior to such extensions taking place. The chargeable rental is for whole days and commences (Hire Start Date) on the day requested by the Hirer for Rescue Beacon Hire Ltd to lodge the Equipment at the NZ Post Office for delivery to the Hirer and ends (Hire End Date) on the day that the Hirer lodges the Equipment with NZ Post Office for return to Rescue Beacon Hire Ltd, both days inclusive. For delivery to the Hirer and the return to Rescue Beacon Hire Ltd (on all occasions except where Local Pickup and Return by hand by the Hirer is involved) NZ CourierPost couriers are to be exclusively used for carriage of the Equipment. Notwithstanding that the Hire Start Date is chosen by the Hirer, nothing in these Terms & Conditions of Hire shall prevent Rescue Beacon Hire Ltd (at Rescue Beacon's sole discretion) from sending out the Equipment to the Hirer ahead of the Hirer requested time. In this event, for the sake of clarity, the Hire Charges start from the Hire Start Date originally chosen by the Hirer. 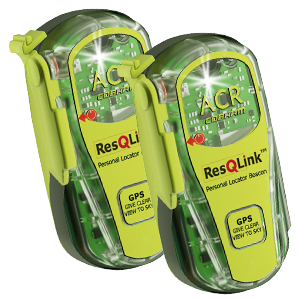 (ii) agrees and accepts (in the case of EPIRB and PLB Distress Beacon(s) (the Beacon(s)) that each Beacon being supplied by Rescue Beacon to the Hirer in a sealed bag has not been activated and that the battery(s) meet the manufacturer’s specifications and warranty. (iii) warrants, in supplying Rescue Beacon with Credit Card details for charging hire and other charges, that contains a different name to that of the Hirer, that the Hirer has the full authority of the Card Holder to make and allow all charges incurred by the Hirer under Hire Agreements with Rescue Beacon to be charged to that Card. Further, the Hirer agrees, that in the event of any dispute with the Card Holder regarding Rescue Beacon making such charges to their credit card that the Hirer will hold Rescue Beacon harmless and forthwith make good to Rescue Beacon any costs incurred or charges lost. The Hirer acknowledges that the Equipment is in good order and condition and working to the manufacturers specifications. (i) The Hirer will check that the Beacon bag seal is intact and if not so will immediately advise Rescue Beacon. (ii) That the Hirer will read the instructions contained in the Courier bag from Rescue Beacon as to how, in an emergency, to activate the Beacon and that, if the Hirer does not understand these instructions, the Hirer undertakes to contact Rescue Beacon for further instruction. (b) in the case of Beacons returned with the bag seal broken for whatsoever reason where an activation has been made, the Hirer authorises Rescue Beacon to make a charge of up to $400 per such beacon, to the Hirer’s Credit Card to service and replace the batteries. (ii) in adequately protective packaging by Registered Insured mail through NZ Post at the Hirer’s cost. (b) Provided that the Hirer returns all rental Equipment hired by Rescue Beacon to the Hirer on or before the agreed return date as supplied, sealed in the original sealed bag, not having been activated, undamaged and in clean condition there will be no additional charges. However the Hirer hereby authorizes Rescue Beacon to charge the Hirer’s Credit Card for any extra charges including but not limited to fees for late return, checking the Equipment and re-sealing the bag, Battery replacement, damage or cleaning. (c) It is acknowledged by the Hirer that the return of a Beacon On or Before the agreed Return Date is essential to preserve the integrity of subsequent Confirmed Hires for that Beacon. The Hirer must therefore contact Rescue Beacon to gain PRIOR approval for any requested Extension to the Hire Period. Accordingly it is a Condition of Hire that there is a Late Return Penalty Charge per Beacon per day for returning a Beacon, for whatsoever reason, after the contracted “Return Date” for all unauthorised Late Returns. Late Return Penalty Charges do not apply to any Emergency instance where the Beacon has been activated and a rescue of the Hirer, or a person in the Hirer’s party, has been made by the respective SAR Authorities provided that the Beacon is returned to Rescue Beacon within seven days of such activation. In such a case the Hirer should, personally or through a Third Party, contact Rescue Beacon advising the details of the incident and the anticipated Return Date of the Beacon. Please note that after this seven day period Late Return Penalty charges as set out below apply. Either:- (a) Where the return is delayed by one or two days after the contracted return date, the Late Return Penalty Charge is at the rate per Beacon per day contained in the original Hire Contract, provided that such Late Return has not compromised a subsequent hire of the said beacon. Should the Late Return described in this sub clause (a) have compromised a subsequent hire of the said beacon then the Late Return Penalty Charge is the rate per Beacon per day of three times the daily hire rate per Beacon contained in the original Hire Contract with a minimum charge of Thirty Dollars. Or:- (b) Where the return is delayed by three days or more after the contracted return date, regardless of there being a subsequent Confirmed Hire or not, the Late Return Penalty Charge is at the rate per Beacon per day of three times the daily hire rate per Beacon contained in the original Hire Contract with a minimum charge of Thirty Dollars. (a) Proof of Delivery. It is agreed that any proof of delivery supplied by NZ Post to Rescue Beacon for the delivery of the Equipment to the Hirer, Hirers agent, representative, or Hirer specified delivery point is deemed to be Proof of Delivery of the Equipment to the Hirer for the purposes of the agreement between the Hirer and Rescue Beacon. (b) Whereas the Hirer chooses the Hire Start Date (see clause 2 above), whenever a Hirer relies upon a Weekend or Public Holiday day for delivery it is the Hirer's sole responsibility to discover, determine and ensure that NZ CourierPost do make deliveries on such a day and to request such delivery from Rescue Beacon in the Hire Comments section of the Hire Form on the Rescue Beacon website. (c) Both Rescue Beacon and the Hirer acknowledge and accept the statement by New Zealand Post that any CourierPost package lodged with NZ Post prior to 5 pm one day will be targeted for delivery to the consignee at any location in NZ the next day with Rural Delivery addresses taking up to one day longer. Accordingly it is agreed between Rescue Beacon and the Hirer that in the event of Rescue Beacon having proof of despatch of a CourierPost package to the respective Hirer within the Hirer requested time frame and NZ Post for whatsoever reason not delivering the Equipment to the Hirer or taking longer than these stated times for target delivery or return of Equipment that the respective contract for hire between Rescue Beacon and the Hirer together with all of its Terms and Conditions shall stand without changes or refunds of any type and that both Rescue Beacon and the Hirer shall each hold the other blameless and free of any further charges or consequences in this regard. (d) Rescue Beacon and the Hirer undertake to operate at all times in good faith. Accordingly it is agreed between Rescue Beacon and the Hirer that in the event, for whatsoever reason, including but not limited to the Equipment not being returned on time by the previous Hirer to Rescue Beacon, that the Equipment requested by the Hirer and confirmed for hire by Rescue Beacon is not despatched to the Hirer (that is to say, either not despatched on due date or not despatched at all as the case may be) that, other than Rescue Beacon (a) in the case of late despatch making a pro rata adjustment to the hire charge or (b) in the case of the Equipment not being despatched at all, Rescue Beacon refunding in full any hire charges made, both Rescue Beacon and the Hirer shall each hold the other blameless and free of any further charges, costs or consequences in this regard both between themselves and also between either of themselves and any third party. (i) Debit Cards can be used for payment of Hire or Purchase transactions but cannot be used for Security Deposit or Security Bond purposes unless the full amount of the Security Deposit is taken from the card at the time of booking the Hire. (ii) The Hirer agrees to Rescue Beacon, at Rescue Beacon’s sole option, making or reserving a charge on the Hirer’s Credit Card or Debit Card, as the case may be, for a Security Deposit and authorizes Rescue Beacon to apply this Security Deposit in due course against any valid charges under this Contract. (iii) The purpose of the Security Deposit is to secure to Rescue Beacon the due performance by the Hirer of all of the Hirer's obligations under this Agreement. If the Hirer breaches any of its obligations under this Agreement, Rescue Beacon shall have the right to apply the Security Deposit either in whole or in part towards the monies owing under this Agreement by the Hirer to Rescue Beacon and/or towards the cost of recovery, replacement or rectification of the Equipment, provided however, that Rescue Beacon shall not be prevented from recovering from the Hirer damages for any breach of this Agreement when such damages are in excess of the amount of the Security Deposit. The Hirer further agrees to Rescue Beacon making or reserving a charge, in addition to the hire cost and the Security Deposit on the Hirer’s Credit Card to cover (at Rescue Beacons option) the whole or part of any such damage or loss in excess of the amount covered by the Security Deposit. For the sake of clarity, "rectification of the Equipment" includes, but is not limited to, all of Rescue Beacon's costs associated with any battery replacement brought about by any activation of the beacon (no matter how long the period of activation) or by whatsoever other reason occuring during the period of rental of the Equipment. (iv) For any hire, the Minimum Hire charge is $30 plus Courier at $5.95 each way. The Hirer agrees that in the event of being rescued following the use of a Beacon(s), that the Hirer will give all consents and assistance to Rescue Beacon to help them make full use of the event to promote the use of Distress Beacons including the unlimited use of the rescue event and rescue photographs and details and also the Hirer’s name and town (but not the Hirer’s address). (a) to hold harmless and indemnify Rescue Beacon and its representatives from any claim whatsoever, including but not limited to injury, loss, property damage and any third party claims resulting from the use or misuse of the hired Equipment. (b) to release and hold harmless Rescue Beacon from all claims by the Hirer of whatsoever type and howsoever caused. Once Booked and Paid for, refund of the hire fee will not be made in any circumstances, including, but not limited to, when the Unit has not been used due to bad weather, change of plans or sickness. It is agreed by the Hirer that all disputes, issues and matters of whatsoever type associated with or resulting from the hire of the Equipment howsoever arising that are unable to be mutually resolved between the Hirer and Rescue Beacon shall be governed and construed in accordance with New Zealand laws and shall be determined in the Hastings District Court, Hawkes Bay, New Zealand. (i) The parties who are signatories to the hire agreement warrant that they are not aware of any reason preventing them from joining or signing the hire agreement. (ii) It is agreed between the Hirer and Rescue Beacon that a Credit Card is the preferred and stated method of payment to Rescue Beacon by the Hirer(s) for payment of hire charges and penalties. It is further agreed that nothing, in these Terms and Conditions of Hire, in the event that a Credit Card is not or cannot for whatsoever reason be used for such purposes, (i) shall prevent Rescue Beacon, at Rescue Beacon's sole discretion, from accepting or pursuing other methods of payment for hire charges or penalties, as the case may be, nor (ii) shall absolve any Hirer(s) from their obligations set out in these Terms and Conditions of Hire. (iii) (a) In these Terms & Conditions of Hire, the term “Credit Card” means that Credit Card or Debit Card the details of which have been supplied to Rescue Beacon to be used to satisfy valid charges due to Rescue Beacon under the relevant agreement to hire. (b) Whenever a Credit Card other than a card made out in the Hirer’s name (a Third Party Credit Card) is authorised or given by the Hirer or Hirer’s Agent to Rescue Beacon to be used for any payment due under this agreement, the Hirer or Hirer’s Agent authorises Rescue Beacon to also use and charge the said Third Party Credit Card for any and all other valid charges which may arise from this agreement and the Hirer warrants to hold Rescue Beacon harmless from any claim by whatsoever Party for Rescue Beacon so doing. (c) The Hirer agrees and understands that, in the context of these Terms & Conditions of Hire, the word “charge” in the singular shall also mean “charges”, plural. (iv) It is further agreed by the Hirer that any valid charge or charges that are incurred under the Terms & Conditions of Hire of this agreement that are to be paid, either by Rescue Beacon debiting a Credit Card or by Rescue Beacon receiving payment by some other method. Regardless of whatever clause or clauses under which the charges are incurred, payment may be made, taken or received, at Rescue Beacon’s sole option, with or without any notice to the Hirer, either in one full sum of the total amount due or in multiple part charges over a period until the full amount is settled. For the sake of clarity, this includes the Hirer giving specific authorization to Rescue Beacon to make as many partial debits to the supplied Credit Card number over whatsoever period as is necessary to secure for Rescue Beacon the full amount due. (v) These Terms & Conditions of Hire comprise the sole Terms & Conditions between the parties and any and all prior agreements whether verbal or written are hereby revoked and rendered Nul and Void. Any variations to these Terms & Conditions can only be made in writing and must be signed by all of the Parties.